Our Price: $239.95 Best ( 65% OFF ) *Spring Sale! 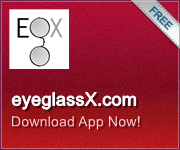 Progressive HD Digital Plus (TRIVEX) no-line bifocal lenses. Advanced Freeform HD digital technology lenses are the top-of-the-line offer. Superior design offers distortion free vision distance & near for easy adaption combined with the highest optical quality HD material of TRIVEX. Best for those who drive a lot, active or sensitive to any lens distortion, and want the widest field of vision throughout their lenses, for distance & near. All lenses include free scratch guard & UV protection, with perfect mounting into your frame. Adaption guarantee comes with these lenses. Every job is completed and verified by licensed opticians at our USA lab. Compared to: $589.00 retail. Don't forget anti-reflection (AR) coating treatment...just add to Cart before Check-out. -Designed by SEIKO *We offer a worry-free redo if needed.